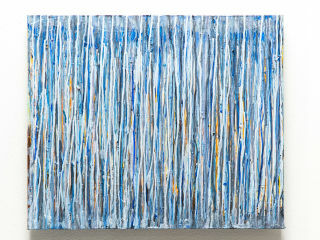 Marthann Masterson Fine Art will present A Study of Viscosity, an exhibition of new work by Marthann Masterson. Masterson, a third-generation Houstonian, started her career as a professional chef and television personality. Her creative energy and talent has now moved to the art studio. She studied at the Glassell School of Art. Her work has been exhibited in Houston and Florida, where she won an international art competition and her paintings were viewed by more than 40,000 people. One of her pieces inspired a ballet in Sarasota, Florida. Masterson was also one of five featured artists in a The Soul of The Artist, a book by Janet Roe.